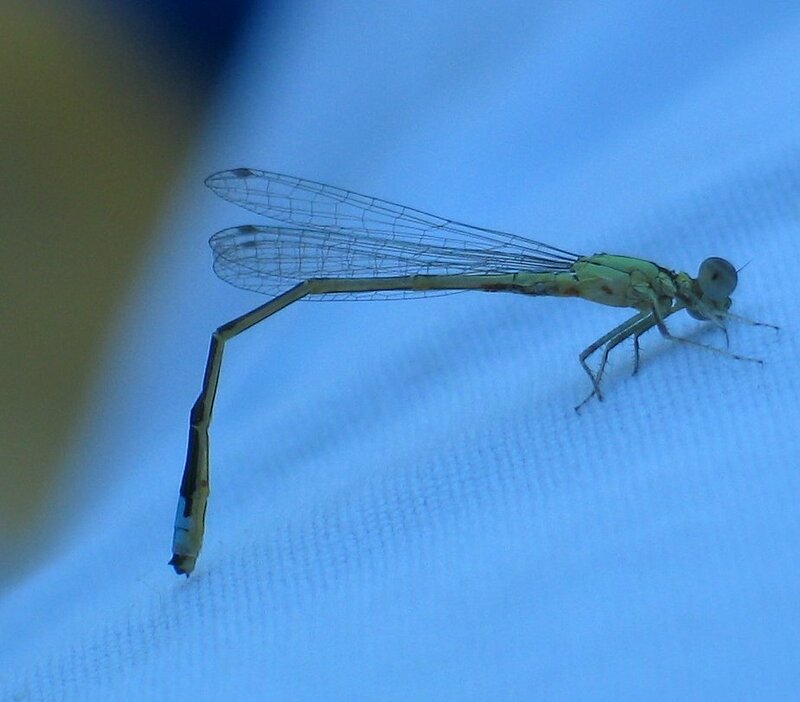 I learned something new today - for some reason I thought damselflies only lived for one day, so I was ready to say something somber and sad about how we found this one at the end of its short life, how fleeting life is, carpe diem and all that. My daughter thought it was barely alive; I thought it was somewhat dead. But as it turns out, their lifecycle lasts about a year, and the adult damselfly lives for quite a few weeks. However, this one was still dead! Very creative. I love it! Great photo of those wings that won't fly again. . .sigh. Loved your comments, LOL. Jenny, today I linked to your Summer in the Country photo from Saturday for a photo I took for Seattle Daily Photo. Hope you like the tie-in. Jenny, unbelievable!!! Me, too. An hour ago, Pequete came up with the very same identification for me! Go see! I had shot those 2 in the Spring - such luck. Thenext one I cameupon, about a monthago,was also dead. But I didn't want to post it,other than together with the one from spring, to show some mystical rep of life-cycles. Exciting feeling to shoot it,isn't it? Even if it was in damselfly heaven. Excellent commentary, too. I learned two new things. I didn't know that was called a damselfly. Nice photots this week. Awwww... a cute little thing.. RIP. I didnt know there was such a thing called a Damselfly either, I thought it might be a slang derivative of Dragonfly (which we have here in force, but its not, its different. I learned something new too! Beautiful shot Sharon, well captured. Great work on your header too, that looks superb! And here I thought that they were called DragonFly.